Recently I posted a review of the book “Poverty Lessons” by Toru Kazama, which is biography of the actor’s life, focusing on his difficult times in poverty and what he learned as a result of that. 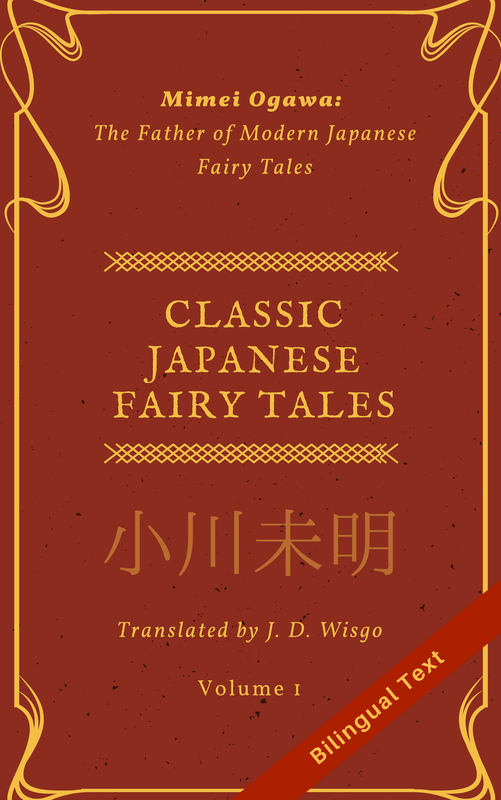 As a translation exercise and to give a little exposure of this great book to English-speaking audiences, I’ve decided to translate a few pages. Keep in mind this is a completely unofficial translation, not endorsed by the publisher or author. There is a short preface which I have skipped, and started at the first chapter, continuing partway through that chapter to the end of page 23. While I am not planning to translate more, please feel free to like this or comment if you would like to see more. Who knows, maybe some day we will get an official translation. I still remember that day like it was yesterday. My mother took me by the hand and brought me to the shore of the Tama river near our house, and shortly after a man joined us there. When I glanced at his face, I thought to myself, “I’ve never seen this guy before.” But after listening to my mother talk with him, two things quickly became evident. To begin with, this man was apparently working at the same factory as my mother. Second, he seemed to have feelings for her. My memories of that day are in shades of gray, with only a vague sense of the season and weather. Their faces were blank and expressionless, and I don’t remember anything specific about their conversation. So I guess it would probably be fair to say the only thing I actually remember clearly was a uncomfortable tightening in my chest. This unpleasant feeling–an inexplicable uneasiness–came upon me suddenly, like a surge of dark rain clouds blocking out the sun on what had, until a moment ago, been a perfectly clear day. It took all my effort just to look away as my mother and that man stood there towering over me. I didn’t say a word, only passed time by throwing pebbles into the river and watching leaves float on the surface of the river as they were carried downstream. That day I felt like I was one of those leaves that had tried to cling onto a large rock or clump of reeds, only to be quickly swept away by the current. Such petty resistance was useless. In the battle against the currents of my life, I never even had a chance. Many years later, doubts still remain. Why did my mother fall in love with someone other than my father and enter into a relationship with that person? Was she simply looking for comfort after things went south with my father? Or did my parents’ relationship deteriorate because my mother fell for another guy? There wasn’t anyone around then to explain the answers to these questions to me, nor do I really want to know now. Even my mother had a future to look forward to. She had a right to be happy. I didn’t think she was foolish or unreasonable for choosing to make a sacrifice in order to live freely. I could only understand her as a woman who was very, very young and had simply acted on her feelings. Thinking back now, there is one more thing I realized. Perhaps, on that day, my mother had already made up her mind to leave my father and was trying to gauge whether I got along with her new boyfriend. She might have been planning on taking me away with her if things had went well. But I had failed to become attached to her new partner. And yet, she still couldn’t bring herself to leave me. I think maybe she’d been struggling with herself to decide what to do with me. If I think about it in those terms, the fragmented pieces of my memory somehow seem to fit together nicely. It was not long after that day at the river when I was forced to choose one of my parents. As a young boy, I couldn’t fathom the grownup situation of having to pick either my mother or father. But I think some part of me understood that choosing one of them meant I had to say goodbye to the other. So I racked my brains thinking about it. I have a hazy memory of how I struggled and how hard it was to finally make up my mind. In the end, I chose my father. And as a result, my mother moved out. I have absolutely no memory of the final day I spent with her or the last words we spoke. I don’t even remember my mother’s warmth or what her face looked like. To this day, my memory of my mother is completely void, and I guess this is partially because no photographs remain of her. I love you Mom, but if I choose you I’ll be forced to live with an unfamiliar guy. On the other hand, if I choose my father, I’ll be able to live with my grandparents on my father’s side who will take good care of me, and I’ll occasionally see my uncle who shows up now and then. It was that sort of calculation that drove me to choose my father, or should I say choose to remain on my father’s side. Of course, there were times when I truly missed my mother. Like when my elementary school teacher suggested we each draw a picture of our mother on Mother’s Day, or when I spotted a “Mother-child event” on the program for field day. And every evening, without fail. In the early grades of elementary school, nearly every day I played on the Tama riverbank with friends from around the neighborhood. The baseball field of the Toei Flyers (now called the Nippon Ham Fighters) was there, and on the far bank was the Giants’ Tamagawa field. I would watch practices there, play tag on the embankment…I have so many happy memories of those days. Playing with friends was the only time I was able to forget all the bad things that happened. In the evenings, when the smell of dinner wafted in from somewhere in the neighborhood, my friends would begin to disappear, one at a time. But my attempts to invite them to play a little longer were declined with remarks like, “My mom cooked dinner and is waiting for me,” or, “Sorry, my mom will get upset.” Eventually I was the only person left, feeling dejected and alone. There was also the autumn dusks. Those were some of the loneliest times. Illuminated by the setting sun, as I watched my slowly lengthening shadow there was one thing that came popping into my mind again and again. I had no mother to cook dinner for me and wait for me at home. I had no mother to worry about me and get upset, no matter how late I got home. My mother didn’t leave me. I was the one who chose my father over her. I felt so much better just by thinking of that. Even now, I don’t know whether I made the right decision that day. That’s always how it goes. Life is nothing but a series of decisions, and the alternate life I would have lived, had I chosen differently, will forever remain a mystery. Perhaps that it is the very reason that all of us tend to wonder, “What if I had chosen a different path…,” especially when something unfortunate happens. But by the same token, had a different path been taken, one can also imagine how life might have been even tougher. Even in my case, had I chosen my mother and left home with her, maybe I would have been abused after disobeying my new father. Or I would have become a juvenile delinquent and thrown my life away. But in all honesty, if I had known about the many difficulties that would befall me after my mother left, I am not sure if I still would have chosen my father’s side. It’s hard to believe, but shortly after my mother left home, my father disappeared. Sometime later when I had asked about what happened, I was told something about how he had suddenly left because of the difficulty integrating his new girlfriend into the family with my grandparents and me. But there is no way a five year old child would ever understand something like that. So, without knowing my life was being ravaged by this terrible thing called “family breakdown”, I naively wondered when my father would come home. But no matter how long I waited, he never did. At this point you probably expected me to get all depressed, but you would be wrong. I was more of the hyperactive little-rascal types, always jumping around and full of energy. Now that I think about it, I didn’t cry even a single time when my mother disappeared or my father went off somewhere. I’m pretty sure that was because I lived with my grandparents, who were the type of people who weren’t phased by anything. Or maybe I should say so stoic about things it was scary. Had my grandmother despaired and broke down crying, or my grandfather openly expressed his anger towards my irresponsible father, I may very well have been influenced by that and turned cynical. However, even on the day when my mother walked out, my grandparents were unflinchingly calm and collected, not making a big fuss about how terrible things had gotten or worrying themselves sick over what to do about it. The next day when I woke up in the morning, my grandmother asked me to get changed, and my grandfather gave me something to eat, as if it was just another day. They never spoiled me to make up for what had happened, but neither did they yell and scream at me. I think I just naturally learned to accept what had happened back then, in a time when they gave me both freedom and comfort. Above all, my grandparents were there for me so I had nothing to worry about. I believed that with all my heart. Thus we entered into a life of extreme poverty, solely dependent on my grandparents’ trifling pension income. Until my father disappeared, I had lived together with my parents, grandparents, and uncle on my father’s side in Nakahara, Kawasaki, in Kanagawa, near the Tama river. It was a little town called Shin Maruko Tenjin. When I was young, I felt like I was living in a giant one-story house. But now that I think about it, the place was actually part of a series of houses built from a single front wall that faced the street, what you would call a townhouse, and the area of the house was far from giant. I think there were a few rooms: a mix of 100 square feet, 80 square feet, and 50 square feet rooms, but I have almost no memory of what the layout of the house was like. What I do remember clearly was the disgusting slugs oozing out from the cracks in the borders between rooms, and the well in the backyard. It didn’t have a handpump but was instead an old-fashioned well where you had to pull up the rope yourself to draw water, just like the one Sadako came out of in the movie The Ring. So it was a little scary. I remember one other thing: we shared the bathroom with the house next door. The bathroom had two doors, one connected to our house, and the other to the house next door. There were times when I barged in after checking that all my family members were in view, only to find the neighbor squatting there, as well as times when the neighbor opened the door on me while I was taking a leak.